An injury-time penalty save by former QPR keeper Lee Camp prevented them pulling off an incredible comeback against Birmingham. 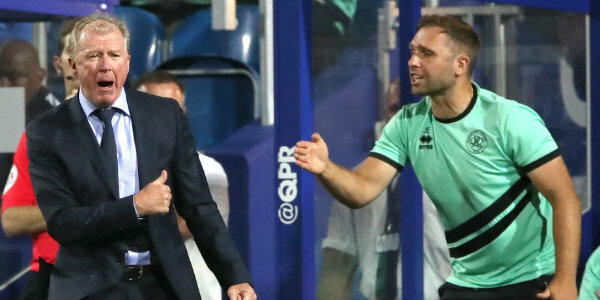 Here’s how we rated each Rangers player in the game at Loftus Road, where they lost 4-3 after being four down. The keeper looked shaky at times fielding crosses and was at fault for at least two of the Birmingham goals, although his one-on-one save to foil substitute Kerim Mrabti kept Rangers in contention right up to the final whistle. Started the game in impressive form, anticipating balls well and hitting some threatening crosses into the Blues’ penalty area, but he also failed to pick up Harlee Dean’s run to make it 3-0 from a corner. For Hall to get through 90 minutes for the second time in four days was good news in itself and he put in a solid performance at the back, with vital interceptions to thwart Lukas Jutkiewicz and Mrbati. Lynch’s limitations were laid bare by Che Adams, who turned him inside out to open the scoring – and the defender was left floundering again by Jota’s pass for the second goal. No surprise that he was substituted after an hour. Moving from left-back to wing-back during the second half, Bidwell delivered a series of useful balls to the head of Matt Smith, one of which should have brought about a goal for Luke Freeman. As always, the stand-in captain displayed plenty of energy and exuberance and, although Jota gave him the slip to set up Birmingham’s fourth goal, he responded by providing the assist for Smith to pull one back almost immediately. Looked all at sea during an uncomfortable 45 minutes, with the ball going through his legs in the build-up to Adams’ second goal, and it was hard to argue with the decision to replace him with Jordan Cousins at half-time. With Birmingham dominating midfield in the first half, the Australia international found it hard to get into the game and passes tended to go astray, although he improved after the break. The lively winger gave Birmingham problems early on as he skipped inside and ran at their defence, forcing a save from Camp before being withdrawn for tactical reasons at half-time. Although a couple of early headers were off target, Smith took both his goals well either side of half-time – and he was unlucky not to complete a hat-trick in the latter stages of the game, bringing two fine stops from Camp. 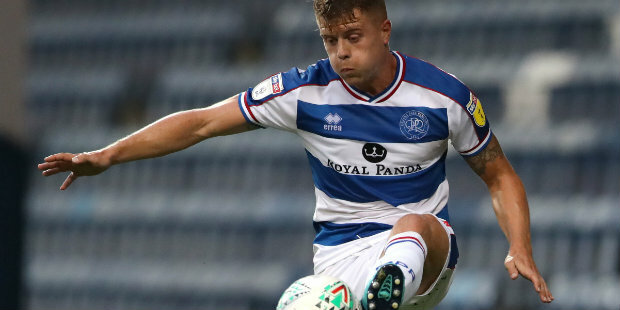 Stifled early on, Wells played an integral role in the QPR recovery as he found more space during the second half and picked out Smith with an intelligent pass to make it 4-2. If only he could have rounded off the comeback from the penalty spot. Replacing Scowen for the second half, Cousins played some good balls into the channels as well as initiating the move that ended with him slamming a sweet half-volley into the net to make it 4-3. A half-time replacement for Osayi-Samuel, Leistner brought a sturdier look to Rangers’ revamped defence and was prepared to take greater risks as they chased the game. The winger was introduced for the final half-hour in place of Lynch and chased everything down the right flank, linking with fellow substitute Cousins for the attack that brought about the third goal.